Lord Adonis has said he was forced to resign as an independent advisor after the government "tried to silence" him. The former Labour minister quit his role as chairman of the government's Infrastructure Commission with an attack on Theresa May's government. He said it had become "hyper sensitive to any criticism" as Brexit was "infecting" the whole conduct of government - including infrastructure. Conservative MP Chris Philp called his comments "complete nonsense". 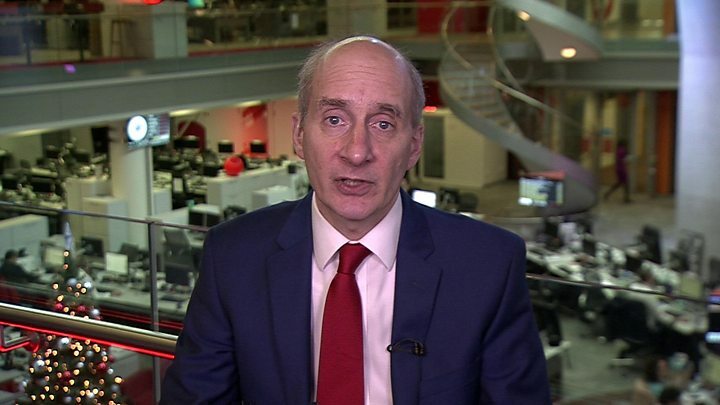 Mr Philp told BBC Breakfast Lord Adonis should "temper his remarks" which are "ill judged and inflammatory". A government source has said the peer quit before he was pushed - which Lord Adonis has denied. Lord Adonis - who is a campaigner against Brexit - said Mrs May was "pursuing a course fraught with danger". But as well as Brexit, he also called the decision to end the East Coast rail franchise three years early a mistake. "I think if we'd had proper conduct of government, as happened before Brexit, no way would Whitehall have allowed a hard-right minister to have agreed the bailout of private rail companies," he said. The government deny it was a bailout. Lord Adonis said it was the government attempts to silence him after his criticism of this decision, that pushed him to resign. "Even if they are independent advisors, they get attacked," he added. "It's time for people like me to speak completely frankly, openly and honestly with the British people about the challenges we face and I'll be doing that day after day in the new year." In March, former Conservative Deputy Prime Minister Lord Heseltine was sacked as an adviser from Lord Adonis's commission after rebelling over Brexit in the House of Lords. Lord Adonis, who was transport secretary under Gordon Brown between 2009 and 2010, has chaired the National Infrastructure Commission since 2015. The commission produces a report in every Parliament advising the government on spending in areas such as transport connections and energy. In his resignation letter, he accused the prime minister of "allying with UKIP and the Tory hard right to wrench Britain out of the key economic and political institutions of modern Europe", saying the UK was "hurtling towards the EU's emergency exit with no credible plan for the future of British trade and European co-operation". Former Conservative leader and pro-Leave MP Iain Duncan Smith said the departure of Lord Adonis was "long overdue". But Liberal Democrat leader Sir Vince Cable called Lord Adonis one of the "most thoughtful politicians around" and said his departure showed Brexit was being "badly mishandled". A Labour spokesman said the government couldn't even "command the confidence of its own advisers".